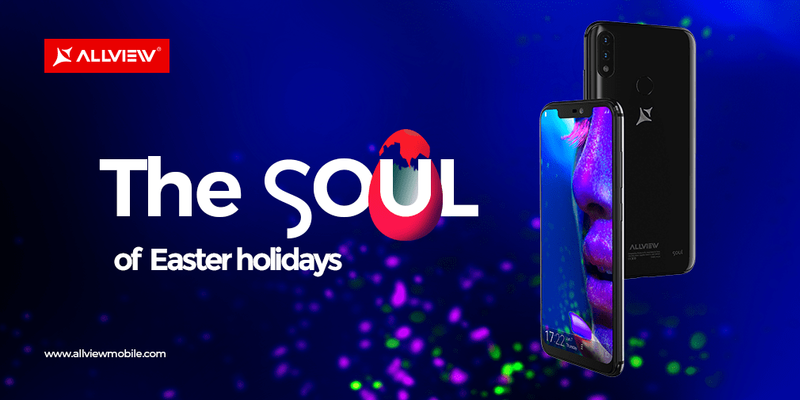 The Allview brand launches a unique Easter campaign with special offers for the Soul range, but also for other product categories. Under "The Soul of Easter Holidays" slogan, those who want to purchase top gadgets have some tempting offers to choose from. Soul X5 Pro is now only 279 euros and comes with a special gift, a Hybrid S smartwatch, while the Soul X5 is just 179 euros with a Allwatch V gift. The X4 Soul series terminals can be also be purchased from allviewmobile.com at special prices: X4 Soul Vision is 389 Euro, X4 Xtreme is available for 215 Euro with a Allwatch V gift and X4 Soul Infinity Plus along with a Hybrid S can be ordered for only 279 euros. For the full offer, please visit allviewmobile.com.